Pastor La Belle will be teaching on the Zeal of God as one of the guest speakers in the upcoming Puritan Documentary Disc series, All of Life to the Glory of God. 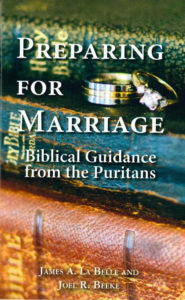 In essence, the message being sent by the project is this: “The Puritans are the authors the men you listen to and love today are reading–and therefore you should be reading them too.” It’s a message being sent to the church of Christ on behalf of today’s Reformed pastors, encouraging the people in the pew to start reading the authors their pastors are reading. To be released June 2019! Pre-order exclusive: You’ll be invited to a closed Facebook group with the directors and producers where you can ask your questions and see behind the scenes video and pictures from production. We’ll also have Q+A from special guests, including Dr. Joel Beeke. Feature length documentary with contributions from theologians, pastors and teachers from around the world. Runtime: 100 minutes*. 15* teaching sessions on different Puritans and 15* teaching sessions on different Puritan themes. Built around the teaching sessions for Disc 2 and 3. A special, decorative, exclusive hardback book by Dr. Joel Beeke and Dr. Michael Reeves. From the late 1500s to the early 1700s, Puritan ministers wrote thousands of Christian books that contain massive amounts of biblical, doctrinal, experiential, and practical instruction to energize your Christian life. In the early seventeenth century, nearly twenty percent of the material coming off English presses consisted of Puritan sermon material popularized in book form. 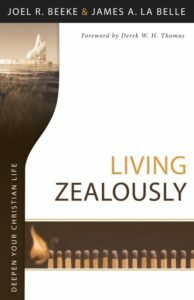 Unfortunately, many believers today find it difficult to read the antiquarian Puritan language and, when they attempt to do so, find themselves more frustrated than energized. This new series, Deepen Your Christian Life, presents in contemporary language the major teachings that several Puritans wrote on subjects that are seldom addressed adequately, if at all, today. Finally, you too will be able to enjoy the Puritans and see, by the Spirit’s grace, that they really do energize your Christian life. 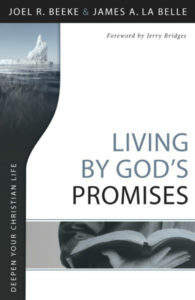 Click on the links provided to order from Reformation Heritage Books. 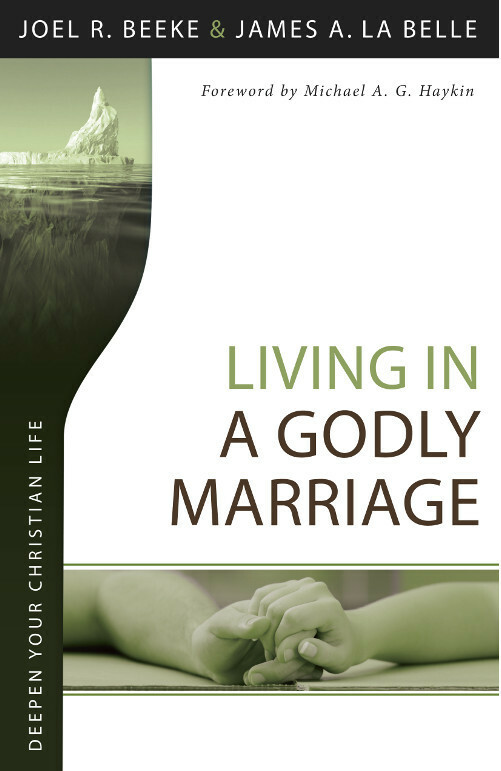 A focused excerpt from Living In a Godly Marriage. 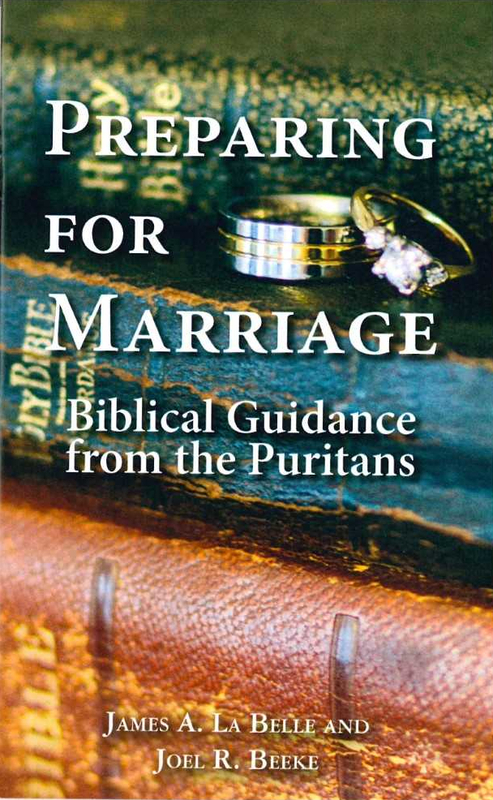 Preparing for Marriage presents biblical principles for seeking and preparing for a spouse. You must first seek Christ as Lord and Savior, and then depend upon God to direct to your spouse in His timing. With this foundation, you must seek a spouse actively in God’s way: by much prayer for wisdom, depending upon God, and discerning if a potential spouse is suitable—by assessing reputation, countenance and demeanor, speech, apparel (and the motivations it reveals), companions, education, and counsel of parents. God will grant success if we renounce our own wisdom, practice self-denial, and avoid dependence upon outward appearances. This work is essential for parents and all young people before seeking a spouse. Preserving the Honor of Marriage explores the biblical command for marriage, “submitting yourselves one to another in the fear of God” (Eph 5:21). It is needed in our day when, in many cases, submission in marriage has become either oppressive or irrelevant. But to honor our spouse is to honor the God of marriage and the covenant of marriage. 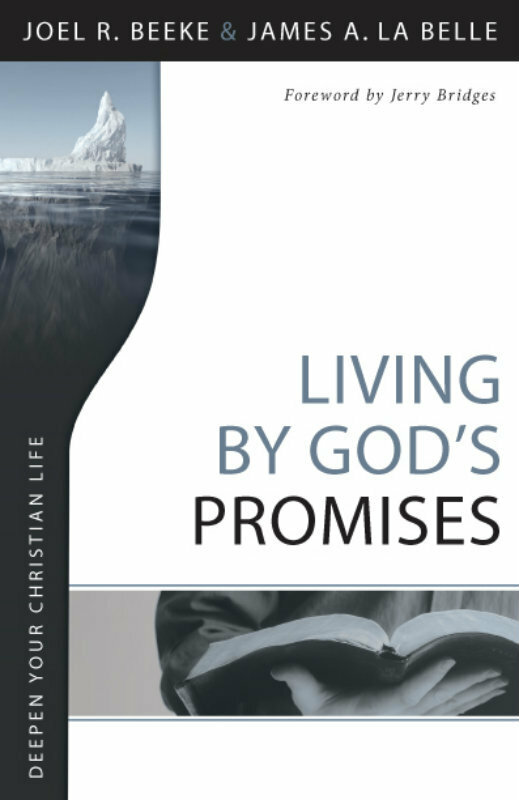 Fulfilling our God-assigned roles is a matter of faithfulness to God. Two principles underlie mutual submission: Christ and His Church, and the marriage covenant. The love of Christ for His Church and the Church’s joyfully following Christ are the foundations for biblical submission. Submission is Christ-honoring when we see it as a vital part of covenantal commitment. This booklet is important for those who are married and those preparing for marriage. When Jesus says in Luke 8.18, “Take care then how you hear,” it’s obvious from vv. 4-15 that He’s talking about how we listen to the preached Word. Many heard His preaching with hardened and distracted hearts and recieved no real eternal good from it (vv. 11-14). Only a few heard with hearts softened by grace to both receive and bring forth fruit (v. 15). With this in mind, three things are immediately clear: 1) Few listen to sermons well. 2) It’s hard to listen to sermons well. 3) It’s critical that we listen to sermons carefully and heartily if we expect to benefit from them. But how can we do this? Much is lost and wasted by lack of preparation. The reason we listen poorly is because we poorly prepare to listen. Indeed, the very reason so many Sabbaths are lost on God’s people––for whose eternal benefit He provides them (Mk 2.27), is because they fail to prepare for them on Saturday. In such a case, the Lord’s Day, which is the Queen of our days, fattened with God’s gracious fare, the market-day for our souls, is practically imposed upon us, with its privileged duties being almost forced from us––all for lack of preparation. So how do we prepare for hearing the Word preached? Let me give you seven rules or principles for your preparation. Lay aside all worldly thoughts, concerns, and business, in order that your mind may be free for God and the impressions of His Word and Spirit. On Saturday night, shut up the eyes of your heart against the world as Nehemiah did the gates of Jerusalem (Neh 13.19-20). Whatever seeks your attention should be considered a distraction to the duty at hand, and should be kept out of your heart until the Sabbath is over. Otherwise, while your ears may receive the Sunday sermons, your mind and heart will get nothing, because they’re already filled the things of the world. Leave the world at the foot of the mountain when you ascend it in worship. Only then will you be able to hear well. Consider and meditate on the great importance of the Word of God. It is the ordinary means appointed by God to convert the sinner and sanctify the converted (Js 1.18; 1Cor 4.15; Rom 10.17). Therefore labor to have a high esteem of the preaching of the gospel (Rom 1.16). God has appointed it in mercy to work both your conversion and eternal salvation. It was appointed for your benefit and you have every reason to expect that God will so use it if you so listen to it. It is true that God can and does work where and when and how He pleases. He can work in your life without Sunday’s sermons and even without the church. He does not need means or instruments to do His will. But you do. Why? Because while He has not tied Himself to use means, He has tied you to use them, when you have them. Therefore no one has any reason to expect God will bless him when he willfully neglects those means by which the Lord has told him to seek His blessings–especially that primary means of the preaching of His Word. Moreover, consider again that the intent of the Word is not only to regenerate (Rom 10.17), but to nourish, increase, and perfect your faith and spiritual graces (Eph 4.11-14). Your knowledge is imperfect, your faith is weak, your affections for the things of God are dull, and your will to obey His Commandments is often backwards. Is there no remedy for this immaturity!? Indeed, there is. The regular preaching of the Word of God was ordained for that purpose. But for those who slight His Word, is it any wonder if they sit barren under its powerful and faithful preaching? When you’re going to hear the preached Word, consider where it is that you’re going. You’re going to meet with the great God of heaven and earth, a God that is not to be trifled with (Lev 10.3). When the Israelites were to hear God speak the Lord told Moses to have them sanctify themselves beforehand (Ex 19.9-11). What does this mean for us today? James tells us: “put away all filthiness and rampant wickedness and receive with meekness the implanted word, which is able to save your souls” (1.21). Consider therefore that this God is present when you gather to worship Him and hear His Word preached; and consider that He speaks with you directly in the preaching of His Word (1Thes 2.13). Learn to say with Jacob, “Surely, the Lord is in this place” (Gen 28.16). Before you go to church, don’t fail to pray earnestly to the Lord on behalf of both the preacher and yourself. For the preacher: pray that the Lord would teach him what he should teach the saints, and would direct and enable him to declare His mind to His people for their salvation and edification. Pray that he would be greatly helped by the Holy Spirit in his preparations, studies, and preaching. If the Apostle Paul coveted the prayers of the church, then so does your pastor (Rom 15.30; Eph 6.18-20; Col 4.3-4). For yourself: pray that the Lord would fix your mind and make it serious, that He would enlighten your mind and open your heart (Acts 16.14) to understand and receive His truths, that you would have a heart to believe and embrace the truth in love, that truth would not float around in your thoughts to no purpose, but would sink down in your heart (Rom 10.10), for a faith only in the mind is no better than a devil’s faith (Js 2.19). Pray that the Spirit would use the preached Word to subdue your lusts and corruptions. Labor to come with a teachable and pliable frame of spirit. There are three sorts of spirits that are opposite to this: 1) the caviling spirit that stands ready to raise objections to everything. 2) the angry spirit that stands ready to take up arms against every admonition and reproof. The conviction that should humble this person provokes him instead (compare the response in Acts 2.37 to that in Acts 7.54). A guilty conscience thinks the minister aims at him in particular and intends to disgrace him and therefore hates him for it. Yet, it’s noteworthy that those who are most angry at reproofs in a sermon are usually those who most deserve them. 3) the hardened spirit by which a man is “sermon-proof.” He’s resolved to hold his own (his own sins!) and not give over (Lk 7.30; Acts 13.46). Instead, a meek, humble, and teachable spirit is joined with a tender heart and stands ready to receive the impressions of God’s truth (Acts 10.33). The sermon works to change, transform, and bless this person because he listens with a tender heart to the God of the Word. Come with an appetite and a longing desire to profit by the Word. Having sought the Lord and taken pains to bring your heart into a right frame, come to the preached Word with expectation. Jesus often said, “According to your faith be it done to you” (Mt 9.29); and truly, people usually do profit by sermons according to their expectations. But take this caution: don’t ground your expectations on anything in the minister. If you come to hear a man, then you will leave after hearing a man; but if you come to hear God, then you will meet with God in His Word and leave after hearing from God in His Word (compare Acts 9.7; 22.9). Therefore expect your blessings, not from the minister–who is but a man, a jar of clay and nothing more–but from God’s promise to bless those who attend upon His Word (Prov 8.17; Jer 29.13; Amos 5.4). May the Lord use these rules and principles for your edification. May He be pleased to open your heart to receive them and enable your will to put them into practice. Just think how much more profitable the preaching of God’s Word would be to you if you duly prepared to hear it. When we get nothing from the preaching of His Word and end the Lord’s Day no better than we started it, the fault is surely our own, for He is faithful who has promised good to us by it (Num 10.29). Adapted from Rev. Samuel Cradock, 1659.